Symbiotic cyanobacteria are associated with marine sponges in three ways: the majority are free-living in the mesohyl; large aggregates occur in “cyanocytes” (specialized, vacuolated archeocytes); and few are present in digestive vacuoles. 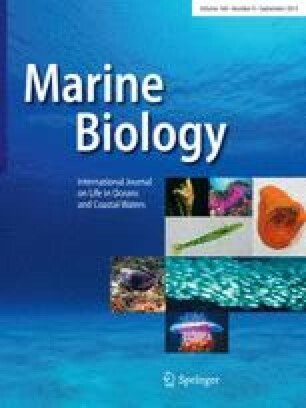 The cyanobacteria in Jaspis stellifera and Neofibularia irata are morphologically similar to those described in Mediterranean sponges, whereas those in Pericharax heteroraphis are different. The freeliving bacterial populations are morphologically similar, although the number of bacteria varies between the species. The fourth sponge Ircinia wistarii contains a mixed bacterial population unlike those in the other sponges. Sponge digestion of microbial associates is rare and not considered to contribute significant nutrients.